Hello and welcome to the 27-80 Paddlers website! 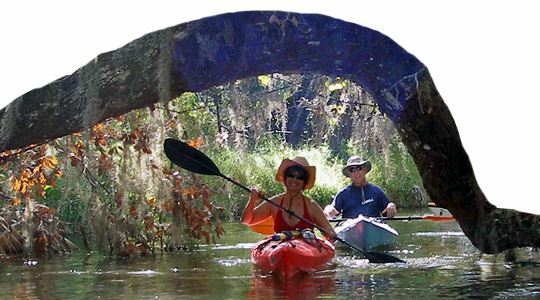 We are a social group of individuals mostly from Martin and St. Lucie Counties that share a common interest in kayaking, biking, hiking, camping trips, picnics and other events. Our home base is Stuart, located on Florida's beautiful Treasure Coast. While there isn't much bullion lying on the beach, our members find treasure in friendships made through our club and weekly trips in Martin, St. Lucie and Palm Beach Counties. The club functions as a cooperative group. All activities the club engages in are dependent upon contributions made by club members. In order to maintain the club's success members are expected to participate in organizing, planning and leading paddles and other club events. Members are also expected to have or at a minimum be determined to develop a competent skill level and be aware of and comply with all matters of safe kayaking. Please take a look around our website to learn more about the 27-80 Paddlers club. You can find out more through the About Us and Club History tabs. If you live in the Stuart, Port St. Lucie, Fort Pierce and Jupiter areas and like to paddle or want to explore our corner of Florida, please consider joining us. Our club has individual memberships that run January 1 to December 31. When you join 27-80 Paddlers you get access to club paddles and peddles, monthly meetings, sponsored social events and access to members only section of this website. To become a member, please download and complete the membership application and waiver & release on our Join Us tab. Located at the foot of the Palm City Bridge.